This level has easy difficulty and you need to use good strategy to complete this level. 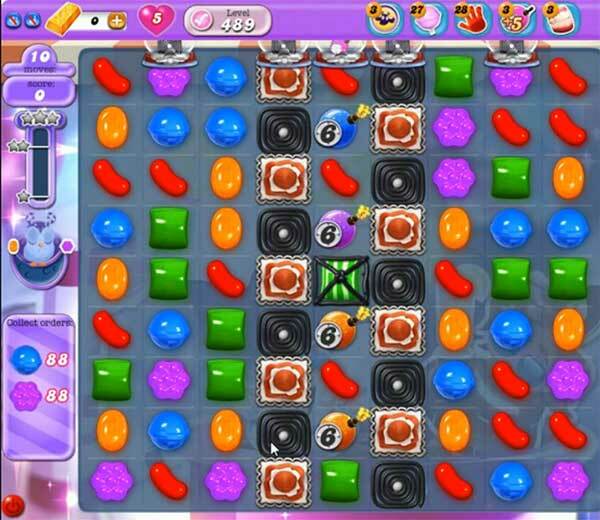 For this level you should try to play from the bottom to shuffle the candies every where. That will give chance to make colorbomb. Combine colorbomb with striped candy to break the time bomb or play first near to time bomb to break them. After use wrapped candies to break more candies or if you get the colorbomb then break with purple and blue candy. Or use special candies in moon struck that you will get from 5 to 0 moves remaining. After moon struck I do not get ANY blue. Maddening! So, this level is impossible.